I've been a member here for quite awhile but sold my f-body about 11-12 years ago (info for that car should still be in my sig). A couple years ago I started an LT1/T56 swap into an RX7, but that project lost steam and I got bored with it; then parted it out. The LT1 that was meant for that project will be going up for sale when I get it back from the engine builder (355/LT4) in the next few weeks. Now on to the good stuff: When I decided to dump the RX7 project I started looking for a new toy. I wanted something fun, ready to enjoy, and cheap to insure. I wanted something relatively inexpensive that could be mostly paid for with the proceeds of my part-out. 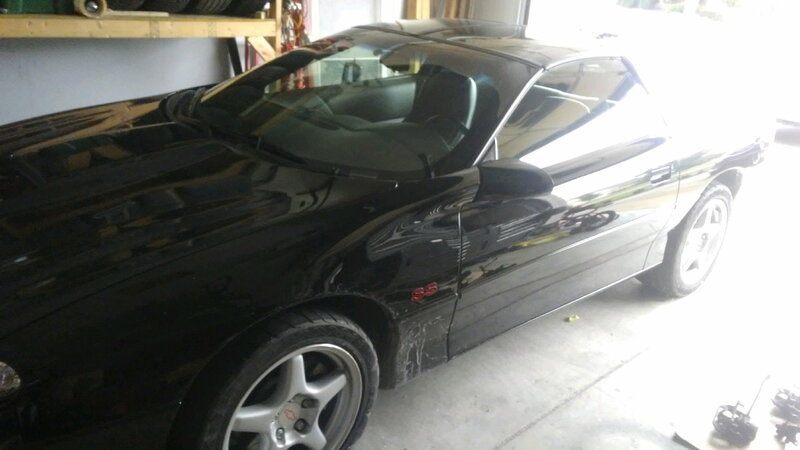 I found this 98 SS with 65k miles on Craigslist, located in Midland, MI about 2 hours from me. Its super clean, nearly flawless body, paint, interior, and under carriage. The guy I bought it from had it since 2005 (55k miles), put over $10k into it, put a few thousand miles on it; then parked it for most of the last 10 years. The car put down 494whp/546tq on a mustang dyno at 10psi, but has never been tracked. I know a lot of people dislike the rear mount turbo (STS), and turbo's are new territory for me, but I have to say this is by far the funnest and fastest car I've driven, and this turbo sounds absolutely freaking amazing. I've driven some bigger single turbo rx7's and experienced noticeable lag, but honestly with this thing it's just not there. Boost comes in early and it pulls so freaking hard. If I ever get tech-savy enough I'll make some videos. So these are the only pictures I have so far. These were taken after the 125 mile drive home in the 1st rain the car has seen in 13 years. Since these were taken I had the windows tinted. I'm going to get some black C6 ZR1 (replica) wheels before spring to get a little more tire under it. The car also came with a custom ground Comp cam kit and timing set that the previously owner didn't get around to installing, but I may do that before spring too. Would be good to have more LS1 owners on the site, only a few left. Basically the majority of active members are diehard LT1 owners. Not many of them either. Nothing wrong with the rear mount turbo. 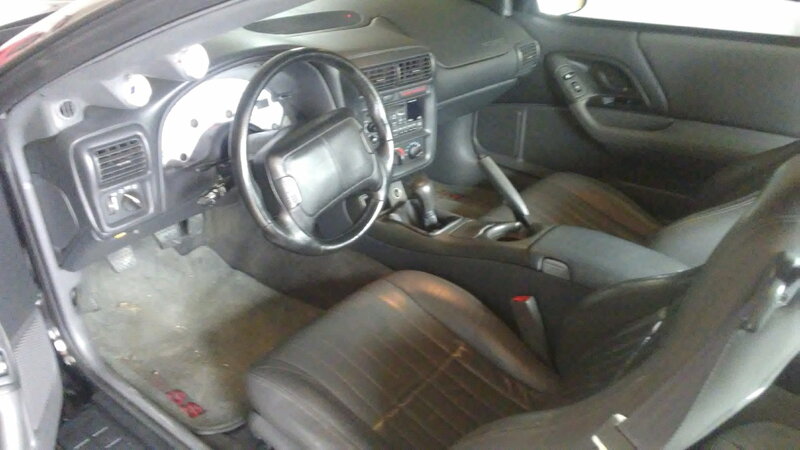 The current LT1 record is 8.03 @ 173 MPH, 88mm rear mount, full interior 3rd Gen with a 383 LT1 swap.